Our developer survey continues this week, as we call on everyone in our community for your thoughts and insights. On Developer Labs, read about body-based feedback and the Leap Motion Controller in the classroom. We also have a Game Maker plugin, wireless Arduino integration, and training neural networks. 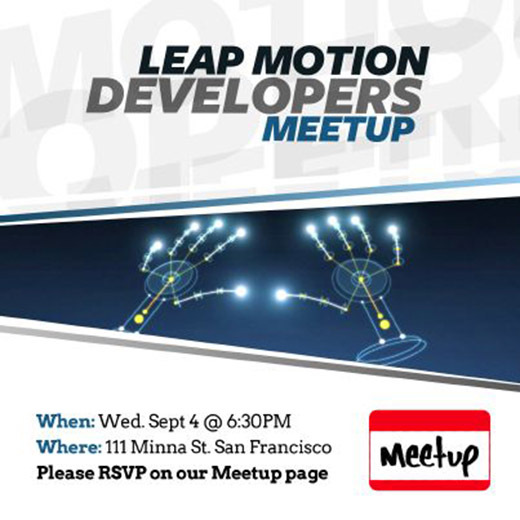 Plus, you're invited to next week's Leap Motion Developers Meetup in San Francisco. If you have any questions, or want to share an item for the newsletter, get in touch by posting on our general discussion forum. On Friday, we sent a brief survey to our community, to ask for your feedback as we continue to shape our development roadmap. While we’ve received lots of responses, we want to hear from as many developers as possible. If you haven’t yet taken the survey, please take a moment to tell us your thoughts. Mathieu Marunczyn is an Australian school teacher who works with young children with special needs. We asked him about his work and insights for developers who want to create wonderful experiences for all ages. 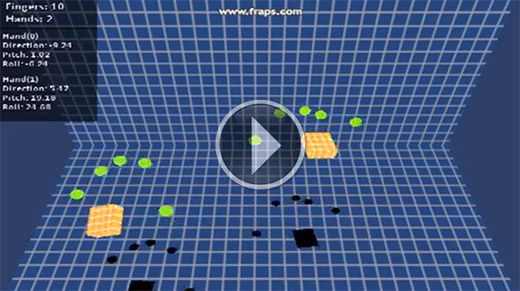 Want to build a game with the Leap Motion Controller? jimmymb created an extension for the cross-platform development application Game Maker, complete with finger position, hand position, and orientation functions. 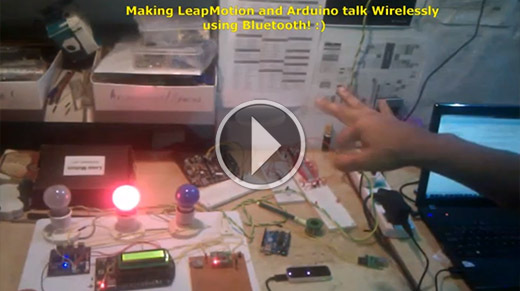 Integrating the Leap Motion Controller and Arduino has gone wireless with Anwaarullah’s most recent project, which uses Bluetooth. 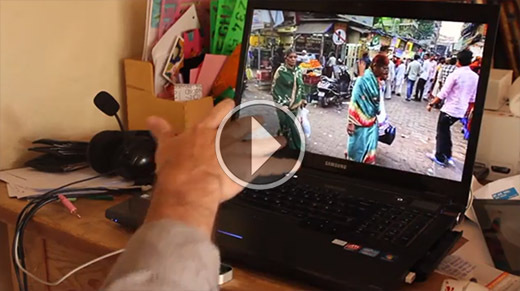 Download the source code or check out the demo video below. fipro wrote a guide to developing Leap Motion-enabled applications with Eclipse 4. With a regularly updated blog and growing catalogue of GameWAVE files, Maximilian Werkhausen's demos and experiments collection at leap.quitebeyond.de has emerged as a popular resource for Leap Motion developers and users alike. Created by theMightyAtom, this panoramic photo explorer allows you to grab and drag your way through 360° images.